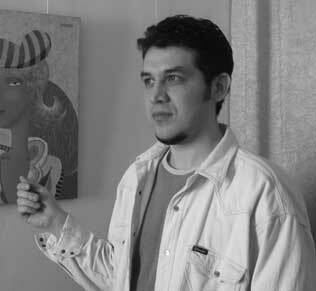 Yuri Sultanov has been exhibiting his works in Russia and abroad since 1994. His favourite motifs are the female body and scenic compositions. To express his vision, Sultanov experiments with shape, space, and the combining of several points of view, which simultaneously reflects different points in time. Art by Yuri Sultanov takes pride of place in private collections in Russia, Spain, France, Norway, Great Britain, Czechoslovakia, China, and Italy.